Modular cementless elastic acetabular systems have advantages over cemented and hard shell cementless acetabular systems. There are few reports on the medium-term and long-term follow up of this particular type of implant. 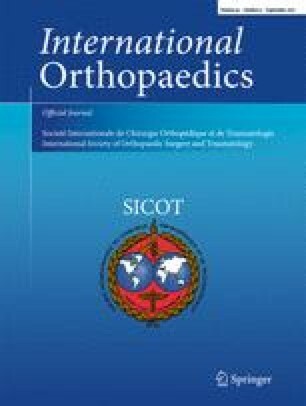 This study describes our experience with the Atlas IIIp modular acetabular system, which is a thin shell cementless elastic acetabular implant for total hip replacement commercialized under this name in many countries. We prospectively followed 244 patients treated with Atlas IIIp acetabular system between 2001 and 2004. Minimum ten year follow up was available for 148 hips (139 patients) from the original cohort of 263 hips (244 patients). One hundred five patients had died from unrelated causes and were excluded from the results. Post-operative and follow up radiographs of patients were assessed; and Harris hip scores were used as clinical outcome. Revision for any reason was defined as the end point for survivorship analysis. The mean pre-operative Harris hip score was 48 (S.D. 16) and the average post-operative score was 82 (S.D. 12). The mean follow up in our series was 11.5 years, ranging from ten to 13.5 years. Thirteen hips required further surgery in our cohort; of which ten cases required cup revision. The 13-years cumulative implant survival was 91.2 % and the risk of implant revision was 8.8 % at 13 years in 148 hips (139 patients). Kaplan-Meier analysis showed the implant survival rate of 95.2 % at ten years for revision for any reason and 99.4 % for aseptic loosening. Our clinical experience with this acetabular cup suggests good long-term survival rates that are similar to other cups on the market. The clinical experience in this study shows long-term survival rates that are consistent, acceptable and good results achieved with a low revision rate. Level of evidence: Therapeutic III; therapeutic study.